Hot Topic: Replace Current Volunteers or Redirect New Ones? REPLACE CURRENT VOLUNTEERS OR REDIRECT NEW ONES? You can subscribe to the Hot Topic as a podcast or RSS text feed - or listen to the audio online. We list events that require onsite attendance and/or are available online - anywhere in the world. If you are a provider of workshops, conferences, online webinars, please feel free to submit your information to be listed on our site. 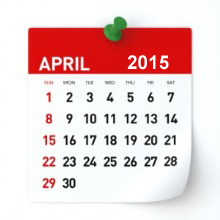 Click on Submit Your Event/Course to let us know and we'll post it within 3 business days. There is no charge. New to volunteer management? Want to refresh your perspective on our field? The following titles are all overviews of the fundamentals of starting and maintaining a volunteer involvement strategy, no matter your setting. Note that these 5 books are from 5 different countries, too! Once you have the big picture, you will want more in-depth information on the specific elements of coordinating volunteers or on how to work with various kinds of volunteers. Find those books via the Online Bookstore's "Browse by Subject" index. 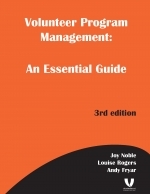 The most widely utilized text in the world on the theory and practice of managing a volunteer program. Truly an essential guide, the book is filled with solid information for both starting and strengthening a volunteer program in any setting. Experience-based and thoughtful roadmap to creating and managing volunteers in arts (or any) settings, combining western best practice with the perspective of eastern Europe. Volunteer Management - How and Why? A holistic, organizational approach to strategically engaging volunteers in organizations. Outlines the key executive decisions necessary to lay the foundation for successful volunteer involvement: policies, budgeting, staffing, legal issues, cost and value of volunteers, and more. Volume XV, Issue 2 of e-Volunteerism, our international, subscription-based journal for informing and challenging leaders of volunteers, opened on 15 January and will run through mid-April. Overworked volunteer resources managers often look at what others seem to be doing successfully and then use those practices or templates for their needs. Susan J. Ellis and Rob Jackson caution against this one-size-fits-all approach and offer ways to customize rather than copy available models. A team of Canadian authors examine the limitations of traditional reporting on volunteer contributions and provide guidelines for presenting information to get action from decision makers. Andrew G. Haldane, Chief Economist at the Bank of England, delivered a provocative lecture last year in London to other economists on - of all things - volunteer value! e-Volunteerism received his permission to share key excerpts of his remarks with our readers. What helps explain why organizations don't bother giving volunteers proper training or structure? Steve McCurley thinks it's that volunteers are considered elves! Steve shares his very popular perspective in writing for the first time. Readers can look forward to these articles still to come during this quarter: how the women's organization, Soroptimist, has created an online community of new volunteers in tandem with their traditional local clubs; a look Along the Web at resources for managing volunteers in museums; a review of a study on SROI (social return on investment) for volunteering; and tips to trainers on how to help learners learn from each other. As always, the articles in all past issues remain accessible (and open to reader comments) in the online Archives. You can subscribe to e-Volunteerism for a full year or for 48-hour access. Note that subscribers have full access to the Archives of all 14 previous volume years. Every community has opportunities for setting up some sort of table-top or booth exhibit in a public place as a method of publicizing your organization and recruiting new volunteers. It's a traditional technique that continues to be useful, but it can be very time and labor intensive. Your goal is to create an exhibit that represents you well. Although you can spend a great deal of money on display boards or printed banners, it is possible to design a low-cost exhibit that does the job for you. Start by looking for a volunteer with some experience in creating exhibit booths and you will not have to struggle alone. Will you be staffing the exhibit all the time or will the materials be unattended? If unattended, do you want visitors to focus on large visuals only, take-and-read literature, or something more interactive such as a self-running slide show or video? How will the display draw visitors to your table or take action after the exhibit? Will the public be walking all around the exhibit or just in front? How can you get some height in the materials so that the display will be visible from a distance? How can you create banners or posters that are adaptable to different ways of being mounted? Will there be space under or behind the area to store packing and inventory boxes? Which parts of the exhibit content will be considered permanent and which can be changed to suit each venue? Budget, time available, and artistic talent will affect all of your choices. Once you have determined your physical format abilities and limitations, your biggest challenge (as always) is to focus your message. Is this exhibit trying to accomplish more than one thing? For example, it is common to use a booth to explain an organization's services to prospective clients as well as to do volunteer recruitment. So you need to design the exhibit to communicate both as clearly as possible. For example, perhaps you can divide the space so that your volunteer recruitment message is separated from the other information. Because most people will only spend a few moments at your booth, it is vital to have printed materials to take away to read when they have more time. These days, the single most important bit of information is your organization's Web site URL! You can also give people the option of signing up for more information to be sent later. This gives you the benefit of obtaining their names and addresses for more personal outreach and follow up. These days it is comparatively easy to set up a laptop with a video, but the truth is that many exhibit areas are noisy, visitors want to move on, and - unless you can project the image to make it larger and eye-level - it will probably be ignored. The laptop itself also needs to be secured from theft. Because staffing a booth takes enormous time, this recruitment option may be too costly (in the time and energy to staff it) when weighed against the likely payback. So your most important decision is selecting the right place to put your exhibit. You can ask to include a volunteer recruitment table at an already-scheduled community event, piggybacking on the work of others to get out a crowd. The variety of such events is endless, from job opportunity expositions for high school seniors to health fairs. Work with your potential source of volunteers to determine the best type of exhibit, timing, etc. for that location. If you participate in community-wide events such as shopping mall fairs, you can hope for increased visibility but have to accept the fact that the majority of people who come by will care little about your work. On the other hand, if you have found a spot within an event targeted more closely to your work, you will be meeting a large number of people with great potential to fill your needs (and probably have less competition from other volunteer recruiters). For example, if you need volunteers to do home repairs or winterizing for seniors, it might make sense to exhibit at a local home improvement show. Once you know where you'll be exhibiting and who is likely to be in attendance, you can then adapt your exhibit as much as possible to each location, such as changing photographs to show scenes of greatest interest to that audience. Susan J. Ellis, President of Energize, Inc.
Read her books. You'll find them in our bookstore. Material may be re-posted or printed without additional permission, provided credit is given to Energize, Inc., and our Web site address is included: http://www.energizeinc.com/.